Brownie Guides - for girls aged 7-10 - Brownies follow a programme called the Brownie Adventure. Girls can participate in a wide range of activities at their regular meetings, and at special events, day trips, sleepovers, camps and holidays. They can find themselves trying out arts and crafts or recipes, playing energetic games, taking part in community action projects, or zooming down zip wires. Brownies meet during school term time - for specific times please contact Diane Perry. We meet every Thursday evening at 7.45pm for approx 2 hours (except during their summer break in July and August). The club was founded in January 1985 by a group of individuals with an interest in all things photographic, to develop their abilities and enjoy the social aspects fo the club. 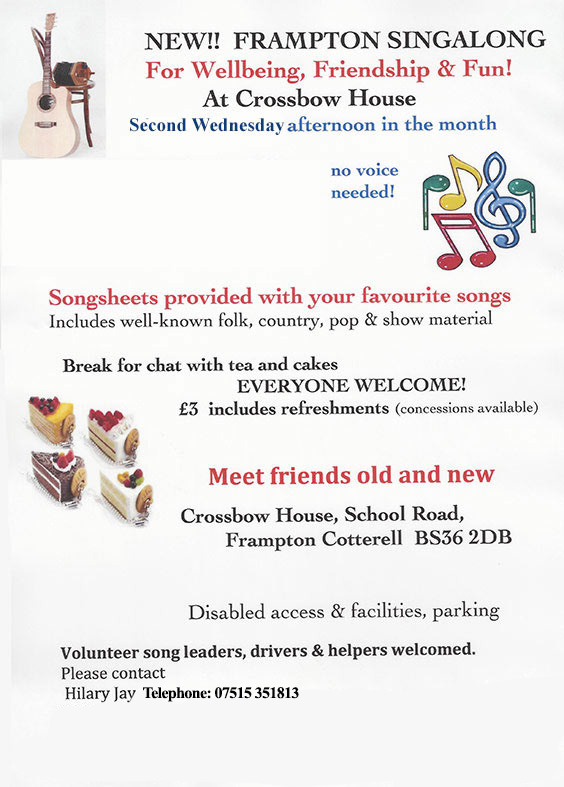 The Crossbow Singers is your local village community choir. They meet on a Monday evening, from 7.30-9.00 during term time, in the main hall of Crossbow House. Their Musical Director is Carolyn Dutton and they are accompanied on the piano by Mary Darby. The choir sings a variety of music from traditional songs to show stoppers, from popular ballads to classics. Hopefully, catering for all tastes! Concerts are held twice a year, plus there are sometimes one or two additional engagements as requested by local groups. The Christmas Concert is normally held mid-December and the Summer Concert is held during July. Proceeds from the Christmas Concert help towards the purchase of new music, whilst local charities are chosen by the choir to benefit from the proceeds of the Summer Concert. 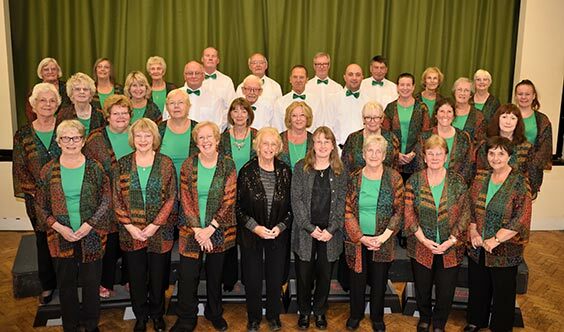 Crossbow Singers is a 4-part mixed choir and, whilst the ability to read music is an asset, it is not a requirement - all parts are practised individually. The only essential requirement is a love of singing! There is no audition! At the time of writing there are only vacancies for tenors or basses, but this does vary from time to time. The ladies’ choir uniform comprises a long black skirt or black trousers, green or black T-shirt and a floaty patterned jacket. The gentlemen wear black trousers and white shirt, together with either a green bow-tie (summer concert) or a red tie (Christmas concert). The ties and bow-ties are provided for the gentlemen, as are the green T-shirts for the ladies. New ladies will need to provide their own black T-shirt for the Christmas concert and will need to purchase one of the jackets via the choir. There is an annual subscription of £40, which is collected in September. Membership of the Frampton Cotterell Community Association is also a requirement. If you are interested in joining the choir, please contact Bob Brain on 01454 772742. Tickets for our concerts are currently £6 and details of how to obtain these can be found on posters dotted around the village nearer the time. Otherwise, please contact Bob, who will give you the relevant ‘box office’ telephone numbers. Please support your local choir. We look forward to seeing you at our next concert. Liza is a fully qualified Pilates Foundation Matwork teacher and runs classes at beginner, improver and intermediate levels in Crossbow Hall. All mats and small equipment are provided, and in order to provide individual attention, each class size is restricted to an absolute maximum of 12 clients. Pilates is an innovative system of mind-body exercises evolved from the principles of Joseph Pilates. It is designed to elongate, strengthen and restore the body to balance. 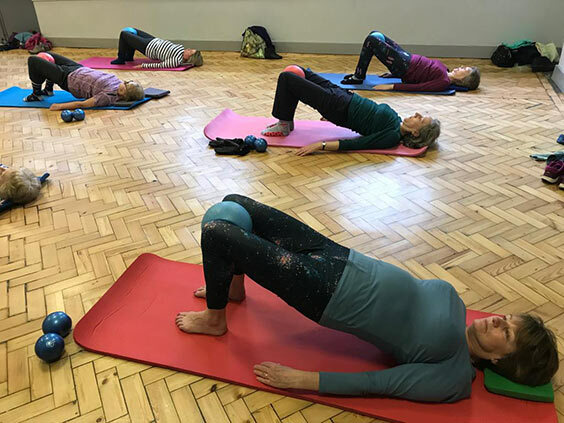 Based upon an anatomical understanding of the body's muscular and skeletal systems, the Pilates teacher creates a comprehensive exercise programme for the client. Classes will focus on specific areas individually whilst using exercises that integrate the whole body to re-educate and restore it to optimum muscular and skeletal function. Pilates exercises help to strengthen, sculpt and tone the body while building long, lean muscles. A body with balanced strength and flexibility is less likely to be injured (and recover more quickly from strain or injury). Other benefits include better posture, higher energy levels, increased co-ordination, balance, easy & graceful movement, flexibility and body awareness. Pilates challenges and trains both the mind and the body. By emphasizing controlled breathing, correct body alignment and concentration on flowing movement, you become acutely aware of how your body feels, and how to control its movement. 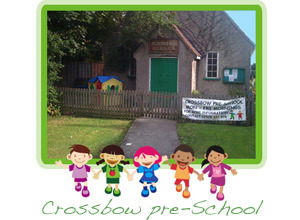 Crossbow Pre-School is registered with Ofsted and received outstanding at it's last inspection. Sessions currently run Monday - Friday 9am - 3pm Term time only. Children can start from 2 1/2 yrs old. In the summer term additional afternoon sessions are run for the Rising 5's to help them get accustomed to a longer day, thus preparing them for their transition to infant school. The Pre-School is registered for the Nursery Education Grant scheme for children aged 3 - 5 yrs old and can accept childcare vouchers. 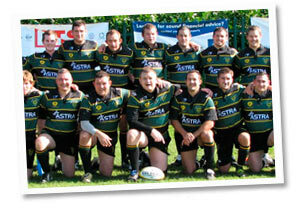 Frampton Cotterell RFC was founded in 1973, the club runs 3 senior sides and an occasional Veterans team, the 1st XV currently compete in the Gloucester Premier League. We have 11 junior sides from Under 7’s age group to Under 18’s. Players of all abilities are always welcome, we have Rugby Football Union qualified coaches for all age groups, senior training is held at The Park, School Road Tuesdays and Thursdays starting at 7.00pm, junior training, also held at The Park, on Wednesday evenings starting from 6.00pm onwards. Contact Merle Summers, 327 Church Road, Frampton Cotterell, Bristol, BS36 2AB (Tel. 01454 773478) and President Mary Roberts, 1 Beaufort Road, Frampton Cotterell, Bristol, BS36 2AD (Tel. 01454 778900). Frampton Cotterell W.I. currently has 33 members covering a wide age range. We have a speaker at most of our monthly meetings and there are many opportunities during the year for social get-togethers and plenty of fun. There are also opportunities to attend events and workshops put on in various parts of the old County of Avon by the Avon Federation of W.I.s. Whatever your interests you will find something to suit! We meet on the 4th Tuesday of each month at St. Peter's Hall at 7.45pm. (No meeting in August). 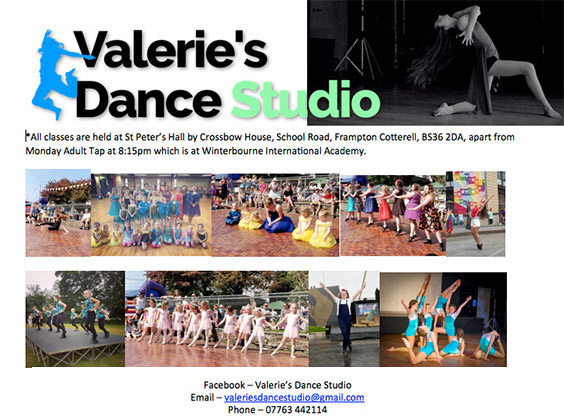 Why not come along and try us out? Any lady is welcome to come as a visitor on payment of a small fee for up to 3 months, or of course you can become a member at any time! Do come along, either alone or with a friend. You will be most welcome. Contact Mary Roberts or Merle Summers if you like (see above) or just come!